The dust on the casing should be cleaned periodically.Before operation the fix bolts of the motor should be checked to see if they are loosened. If so, they should be fixed tightly before use. Check to see if the service cable is rubbed, buried or squeezed.A good lubrication of the drilling waste management should be ensured during their operation.An appropriate amount of high temperature lubricating grease LGHP2 by SKF was injected for the bearing before its assemblage, with it’s working temperature between -40～200°C.No less than 25.8g lubricating grease LGHP2 should be injected into each bearing for every 2000 hours. When Mud Cleaner is found that temperature of the bearing is 10℃ higher than its average daily temperature (meaning that the so-called risen temperature is that measured at the bearing location of motor casing on-the-spot subtracts from the outside environmental temperature) in 2000hours, Mud Agitatorshows that the bearing is lacking of lubrication, the lubricating period and the amount should be both reduced. Gnsolidsamerica is the author of the article on drilling waste management and mud system,find more information about http://www.gnsolidsamerica.com/drilling-mud-circulating-system.html. 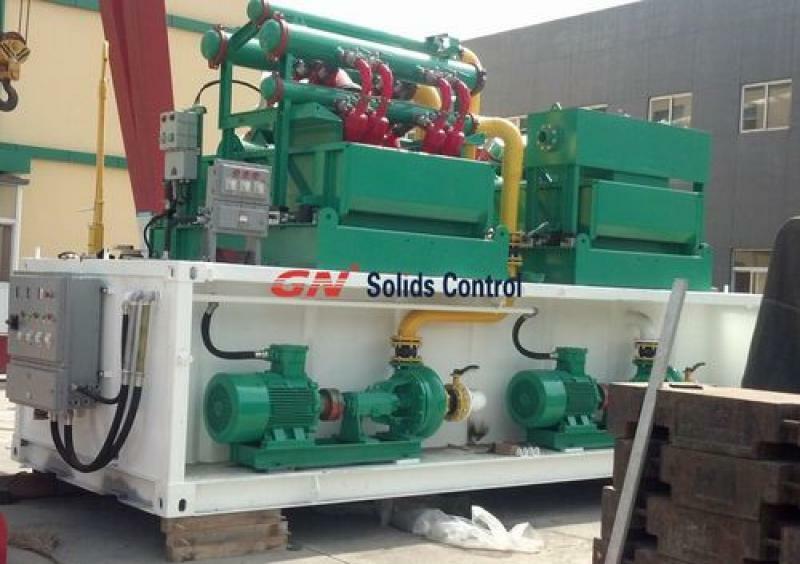 GN solids control have one unit of 500gpm mud cleaning system in stock, we ever sold the same designed one to a client in Kazakhstan for HDD project, also this year we took this system to CIPPE 2013 for exhibition, a lot of clients showed interests on it. 4 Can be applied in HDD, CBM, workover and geothermal drilling project. 5 40 Feet Size length and width ISO container size with fast fixing on trailer. 7 GN Solids Control will provide the first time commission and train the customer’s engineer how to operate and how to maintain the mud system. 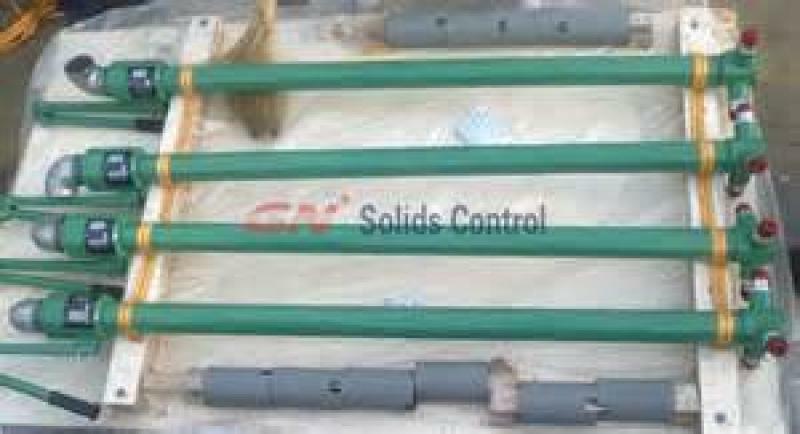 If you are interested in this mud cleaning system for sale, pls contact GN solids control sales. Mud recycling system is normally used for drilling project to recycle the drilling mud, because the material of drilling mud is very expensive, mud recycling system can save the drilling cost and protect the environment. 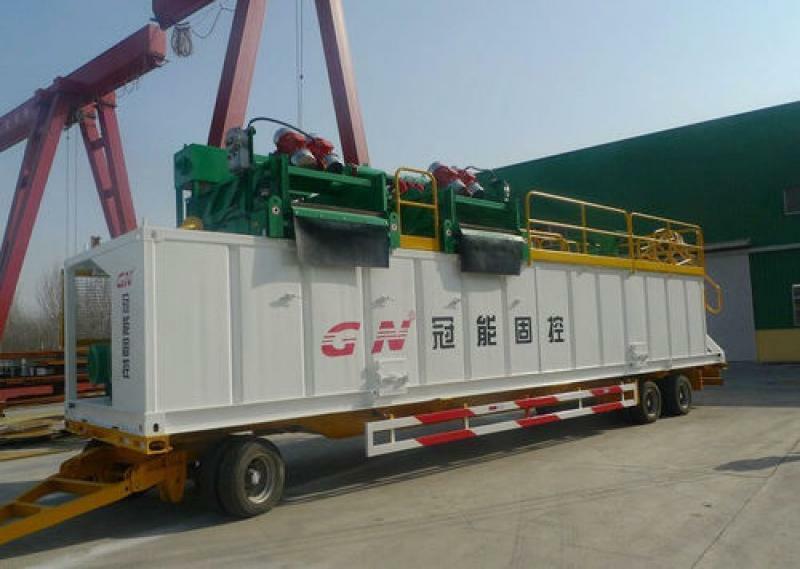 GN designed mud recycling system has been used for oilfield drilling, horizontal directional drilling and core bed methane drilling, and the treating capacity various from 150gpm to 1000gpm. 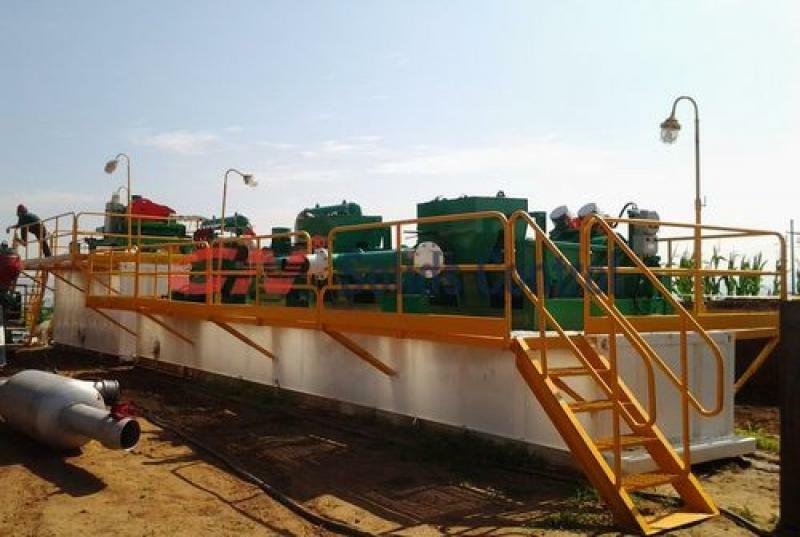 The mud recycling system is a circulation system in oil and gas drilling project, but in HDD project, it is not closed-loop mud system, there is a mud pit between the drilling rig and mud recycling system.